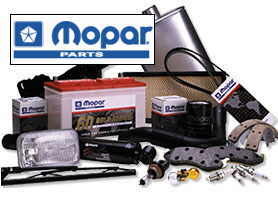 We can locate mopar auto parts, mopar body parts and mopar car parts too. When using our part request service, you will get responses back via email with prices on all the mopar parts you request online. Imagine being able to search hundreds of mopar parts dealers through just one simple request, that's what we do! When shopping for used mopar parts, please think of us as your source for mopar car parts and mopar truck parts. To locate mopar parts please select the Year and Make of your vehicle from the form above and click Next Step.